Spread GIANTmicrobes in your Classroom! Click here for a printable Find the Beach Microbes search game. GIANTmicrobes are on vacation at the beach! Can you find them all? Click here for a printable Find the Beach Microbes search game answer key! Click here to download our Handwashing infographic. 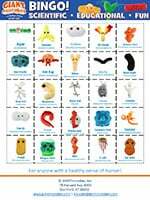 Click here for a printable GIANTmicrobes Bingo game to play with your class or family! Click here for a printable Find the Plagues search game. GIANTmicrobes Plagues are storming the castle! Can you find them all? Click here for a printable Find the Plagues search game answer key! Click here for a printable Find the Microbes search game. Can you discover your favorite tiny wildlife hidden in the scene? Click here for a printable Find the Microbes search game answer key! Click here for a printable Find the STDs search game. Can you discover these depraved microorganisms in the city scene? Click here for a printable Find the STDs search game answer key! Click here to download an amazing and illuminating one-page overview of STDs. "Fantastic teaching tool! The antibody and snap-on antigen was a huge hit." "We have quite a few GIANTmicrobes for our Science 6 classes. We just ordered Euglena and Paramecium! Love them! Almost life-like, in a GIANT way." "I love these educational toys, it's a great way to show students how microbes look." "This purchase is one of the best things I've ever done. It's very convenient and valuable to use it in lab to teach students. I am happy that I ordered 10 Bacteria dolls." "I love using these little guys in my classroom, they help get the students thinking about the microscopic world." "I've been buying GIANTmicrobes for years. A great educational tool for students young and old." "I love the microbes. I have made it a weekly lesson for kids called Microbe Monday. I made 1-page fact sheets that I give the kids and then I hang the microbes from the ceiling. The kids love it. Tangential science." "GIANTmicrobes get my 3rd Graders so excited about learning about our brains and growth mindsets. The gigantic neuron is our class mascot. I have a smaller neuron that I glued magnets to that sticks to our white board and brings us the quote of the week." "I am conducting a germ project so this newest addition to my supplies is great. My students love it and are conducting online research about it." "A wonderful aid in supporting our virology research and teaching efforts." Interested in purchasing GIANTmicrobes for your classroom? Click here to sign up for our educational discounts! Assign pairs of students their own GIANTmicrobes and a related health topic, such as a body system or disease. Research the topic. Then sketch a story or comic strip with captions using the cell or microbe as the protagonist or antagonist. Separate the informational card from 5 to 12 different GIANTmicrobes and lay the cards on a tabletop. Then students must match the correct card with the cell or microbe. To make it harder, tape down the sewn tags so the GIANTmicrobes are not easily identified. Time the students to add some competitive energy! Students toss GIANTmicrobes into buckets or holes identified with body parts. For example, Common Cold must toss into a nose, Heart cell toss into a heart and E.Coli toss into a belly. Students research germ theory and then, like a game show, quiz each other whether different diseases are caused by bacteria, viruses or other pathogens. Use GIANTmicrobes as examples, inspiration and props. This will show in which situations antibiotics and vaccinations are beneficial. The student holding the GIANTmicrobes item must answer a question and then toss it to a classmate. Helps in the review of any topic. Shows the Common Cold or an STD can infect many people or one person more than once. Students will have a healthy laugh catching a Cold. Great activity for young kids. Create a "danger box" and keep the common cold, stomach ache or other nasty germs contained in this box. Put on gloves when you bring them out, so you don't get infected. Show your students that hand-washing and hygiene are important if they don't want to catch these bad guys! 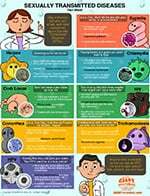 GIANTmicrobes are excellent visual props for Health or Biology class. They are also great ice breakers to get students comfortable speaking up or to just wake up a new class. Have your students look at a photograph of a real microbe or cell (or even better through a microscope) and then sketch it on fabric or paper. Use GIANTmicrobes for inspiration and reference. Use arts & craft materials to add cilia, flagella or other cellular details. Of course, it's fun to just sketch and draw any GIANTmicrobes, especially when decorating a shirt or lab coat! Provide students a group of GIANTmicrobes and have them read the informational tags and do a little research. They come up with a rational to sort the microbes or cells. This could be based on kingdom (fungi, bacteria, virus, etc. ), disease vs probiotics and other beneficials, pathogen spreading method (food-borne, air-borne), or many others categories. Distribute GIANTmicrobes to each student. This will be their “pet” for a week or month. They research and study their assigned microbe: what it does, how it spreads, how it survives, etc. This research becomes a presentation or report. GIANTmicrobes are great prizes, incentives and giveaways for special projects, exam reviews or class participation. A fun and compelling way to maximize class participation. For example, the winner of a review contest receives a GIANTmicrobes keychain. Students will love catching the Flu for a job well done! 12. Speed Dating with Infectious Disease Agents! In this activity you will explore the different types of pathogens as well as examining specific examples of each type in order to identify what is plaguing Anna. Click here to download the activity worksheet for Speed Dating!